It would appear that GIGABYTE are redoubling their efforts regarding gaming equipment and peripherals lately, but which branding they finally solidify behind could be anyone's guess (Aorus or Xtreme Gaming). 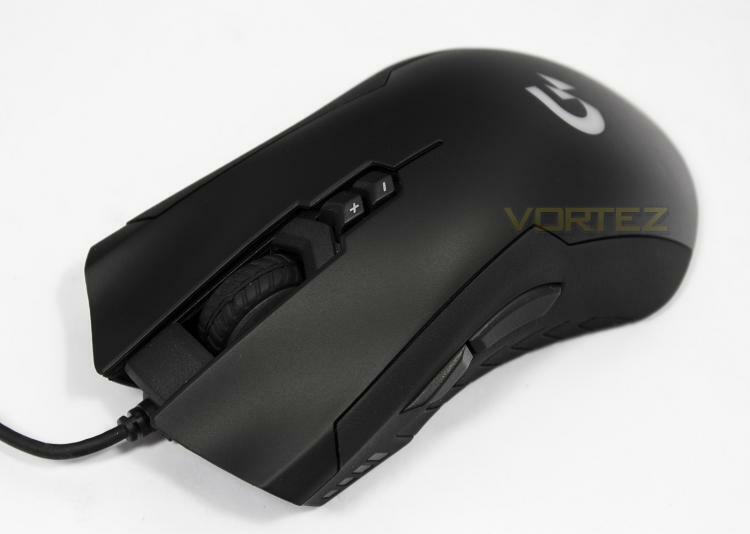 Here we get a look at the GIGABYTE branded XM300, which is an high speed ergonomic mouse that is specifically designed to provide comfort for all grip types. At 130mm long, and weighs just 100g, the XM300 fills the role of a fast, mid-sized mouse that will cater for most play styles, a category filled with some very popular mice including the Razer DeathAdder Chroma. On the outisde, the XM300 has an ergonomic shape with rubberised grips at the sides and features a total of 7 programmable buttons. Other features include the use of OMRON switches, RGB lighting, an LED DPI indicator. Sitting at the core of the mouse is the Pixart 3988 optical sensor rated for 6400 DPI.